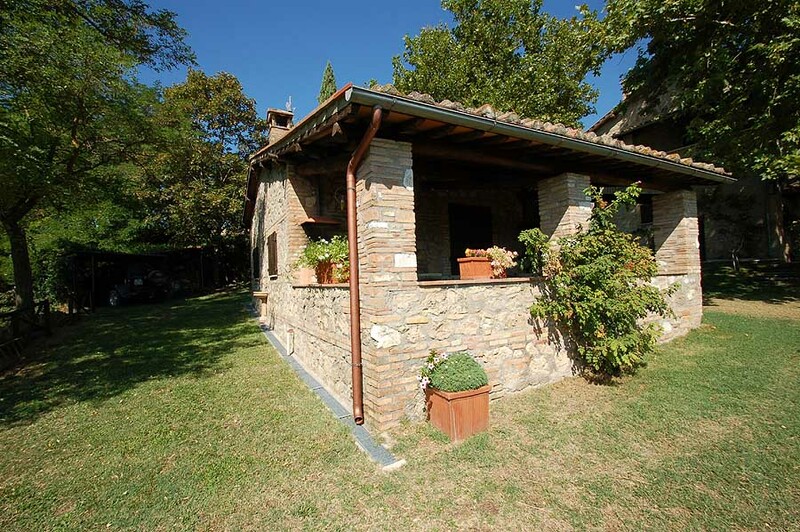 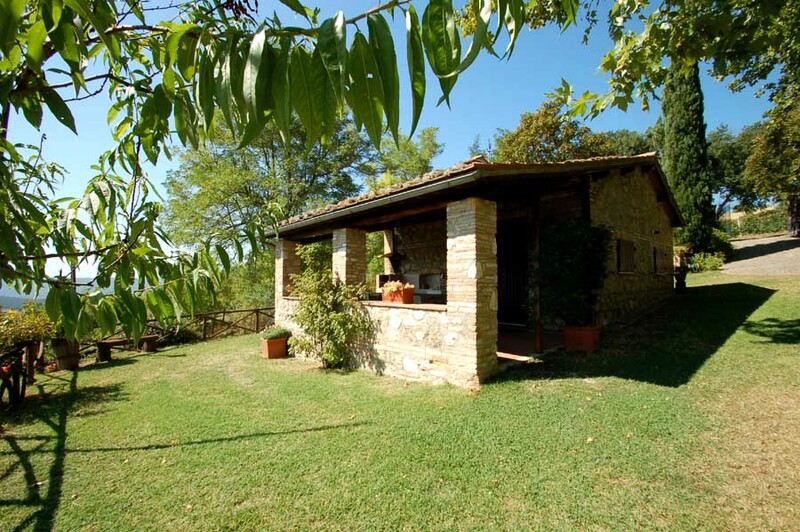 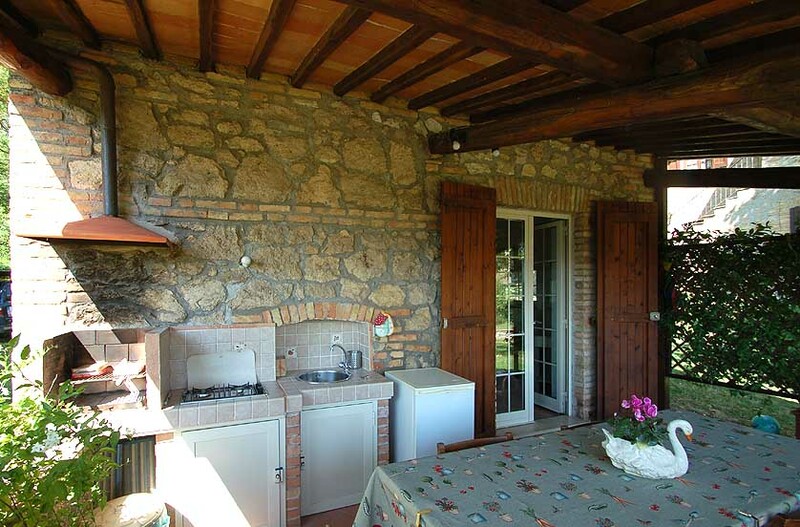 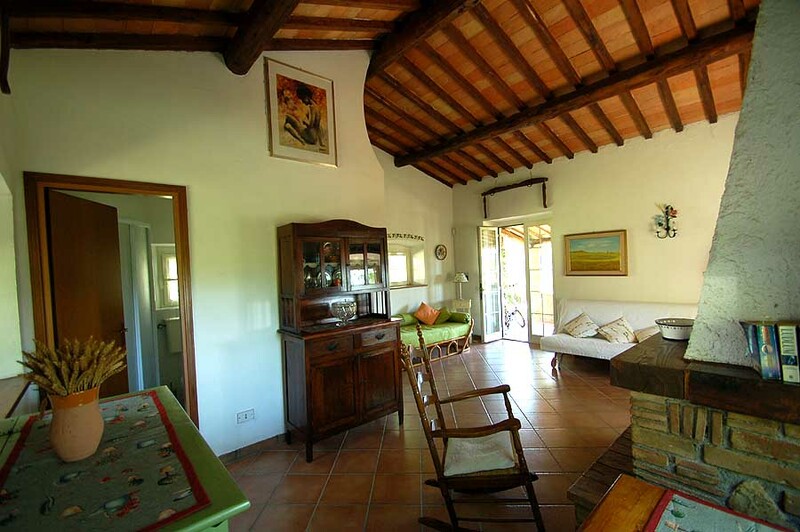 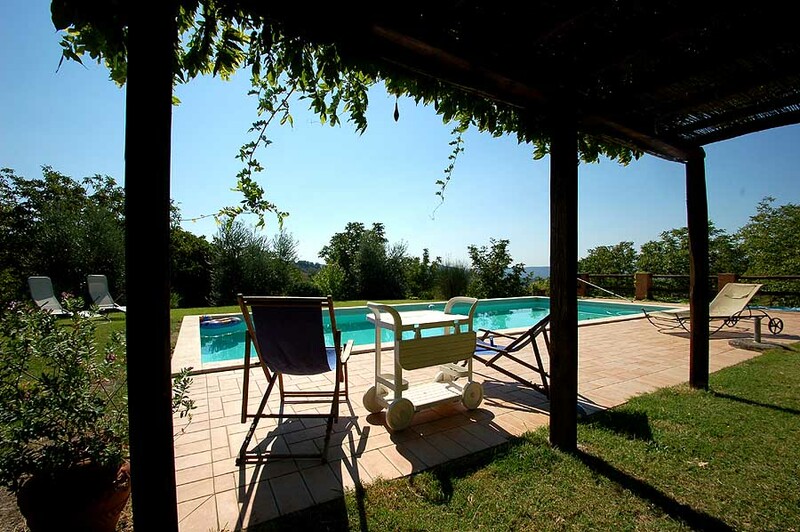 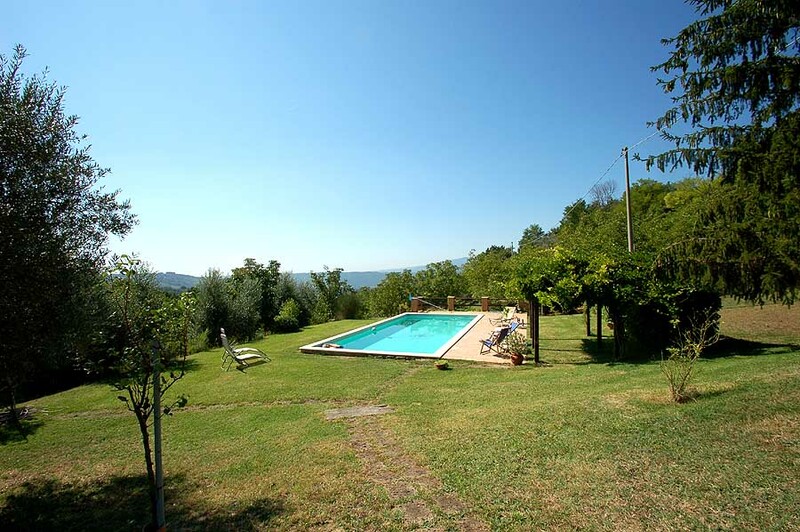 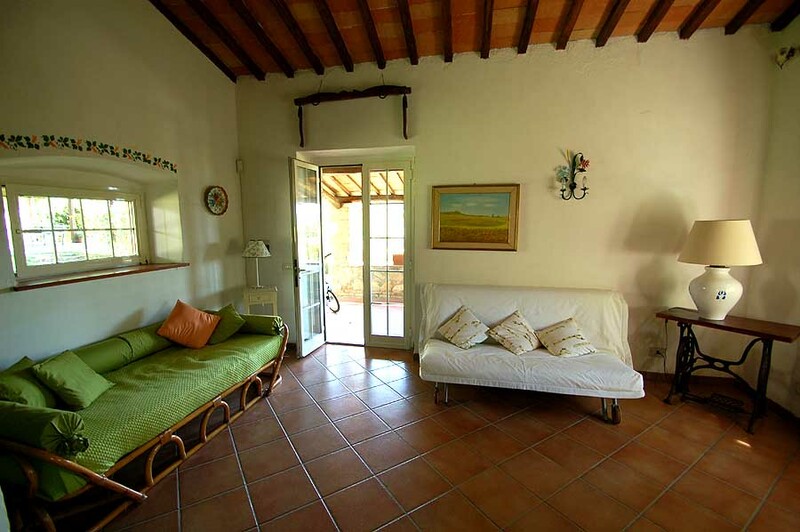 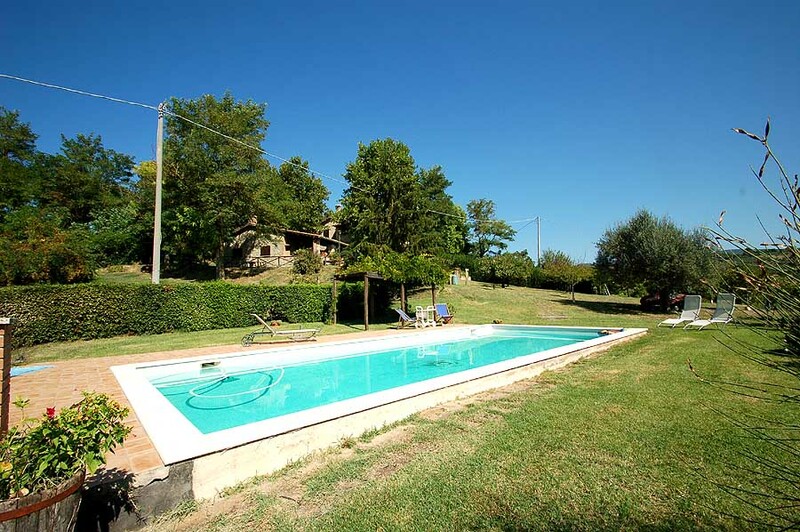 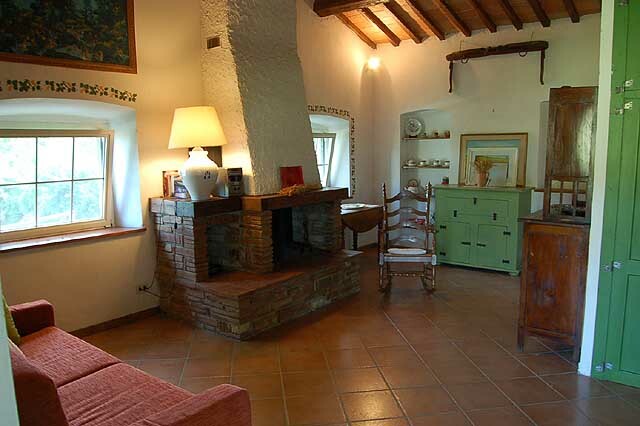 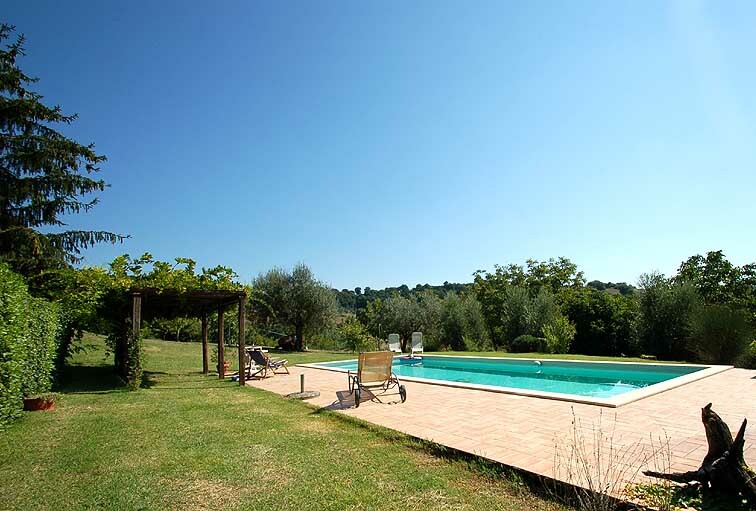 The property lies 5 Kms from the villages of Lugnano and Attigliano. 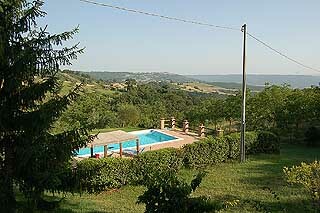 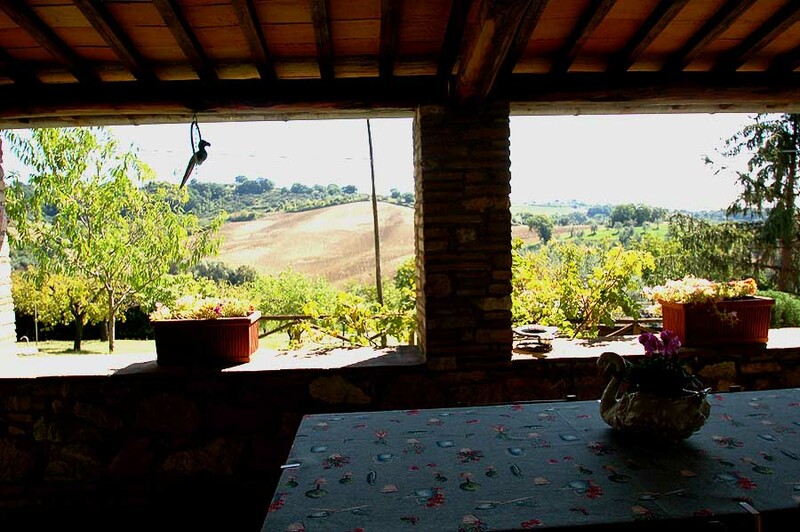 From the property you have a panoramic sight on the valley of the Tevere. 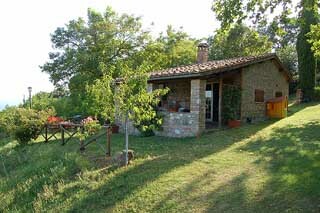 The cottage is rented as holiday home while the villa is used as second home by the owner's that live in Rome. 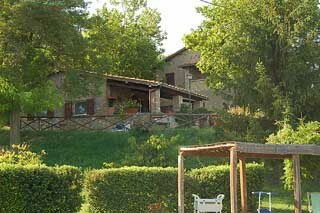 So it possible that the owner's will be present or not during your stay. 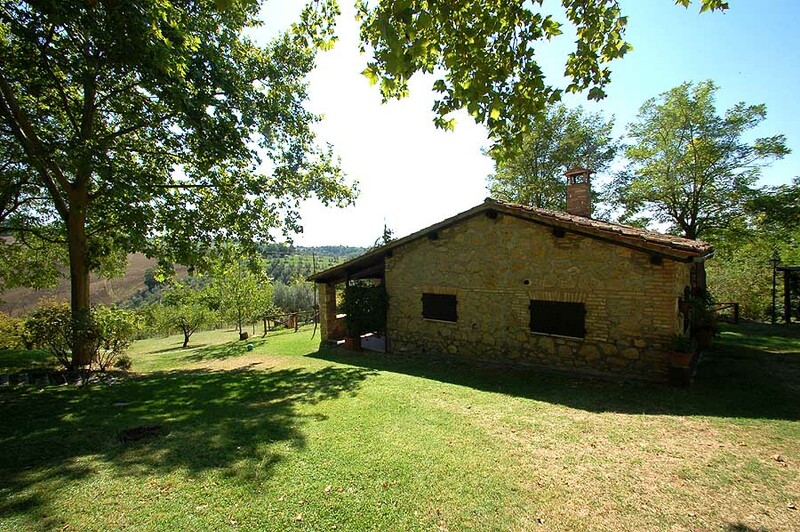 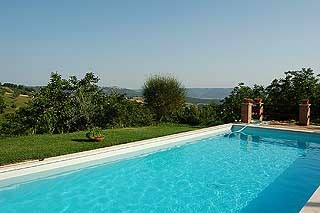 The position of the property allows to quickly reach the principal cultural and naturalistic beauties of Umbria, northern Lazio and southern Tuscany. 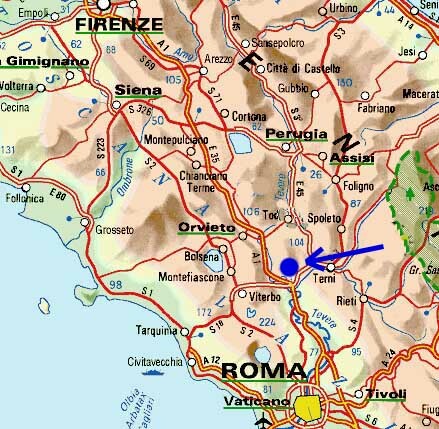 From the property in only 10 minutes driving you are on the highway Rome-Florence (you will not hear the cars passing). 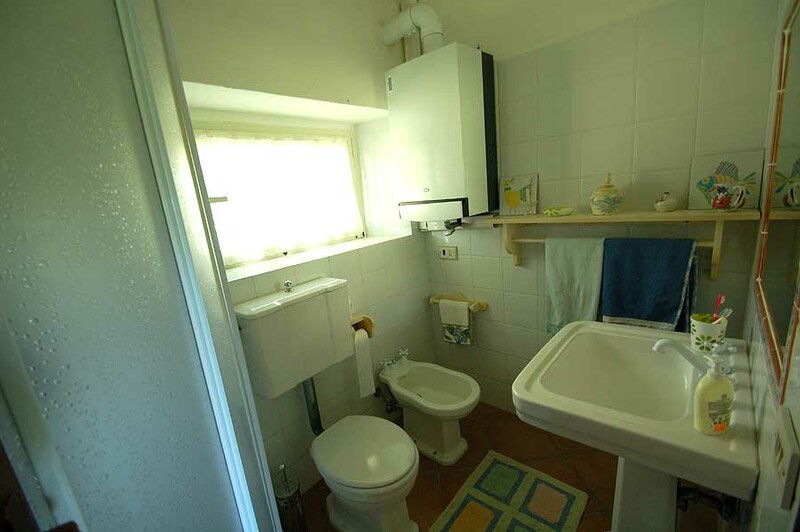 The cottage is formed by one room + bathroom and has 3 sleeping places. 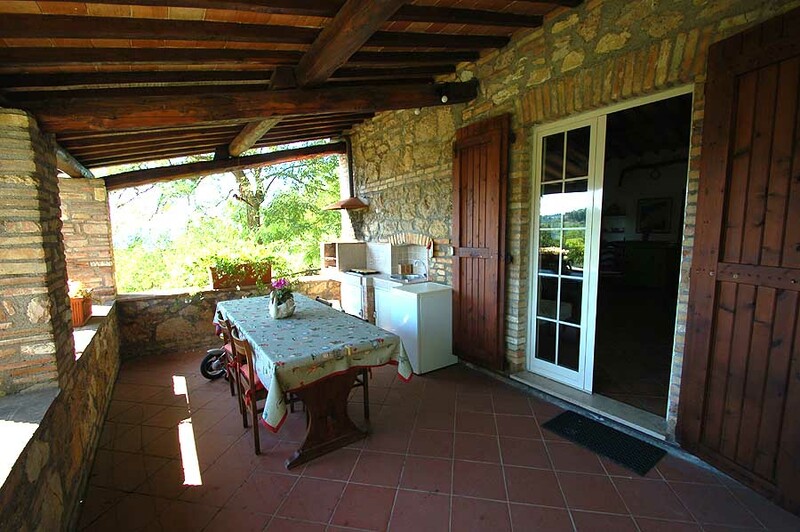 It has also a large covered terrace with panoramic view, it is equipped with cooking corner and barbecue. 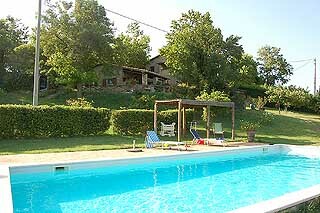 The rentals are for minumum 2 weeks.